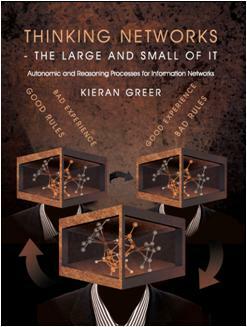 This book describes different aspects of knowledge-based networks and is both important and timely for future Internet/mobile-based information networks. This book combines Artificial Intelligence, service-based systems and distributed knowledge management. It hopes to give a broad overview and introduction to various aspects of related networks, describing existing mechanisms for representing and using such systems. After reading this book the reader should have a good idea of the sort of systems and algorithms that can be used to organise and use knowledge in today's world and where we might be going to in the future. The second half of the book will discuss some research ideas in the area of self-organisation and reasoning. The research will propose different levels of reasoning that can be performed over an information network, or a neural-like network and will ultimately offer an architecture that will allow the network to 'think'. The book is listed on the ACM citation portal. Kieran Greer is a researcher who has over 10 years experience working on research contracts at the two Universities in Northern Ireland. He is a Senior Member of IEEE and an editor of an International Academic Journal. He specialises in R&D in the areas of Artificial Intelligence, Distributed Information Systems and Scheduling Systems, and has written a number of innovative software systems. This is his first book, which has arisen out of work carried out at the University of Ulster.